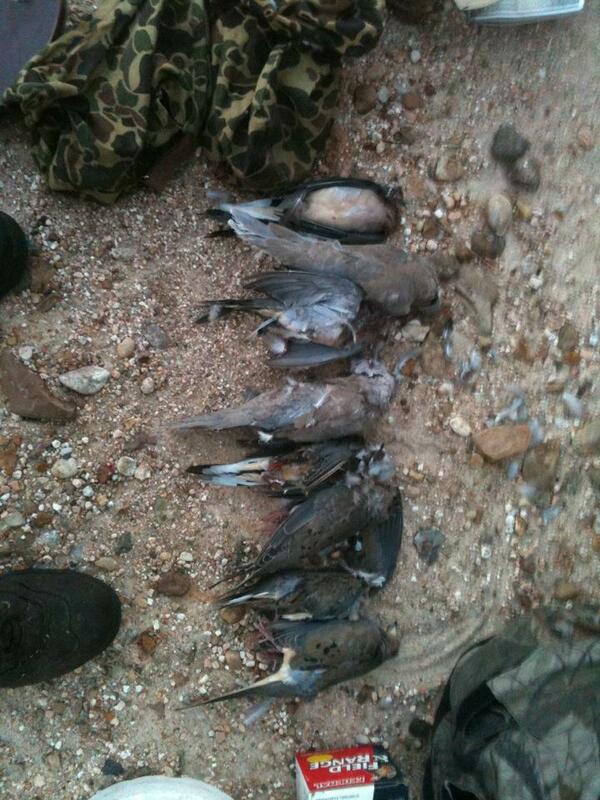 I love dove hunting. More than any other, dove season in Texas is a social event where conversation flows freely, the smell of gun powder permeates the air and sore shoulders are the sign of a good hunt and not a finicky rifle scope. It’s a fine way to introduce non-hunters to the sport and kids make wonderful retrievers while carrying their Daisy BB guns. All that said, there are dangers involved: rattlesnakes, too much rain, too much heat, and worst of all no birds. A few season’s back produced a memorable hunt, but not for the reasons you’d think. 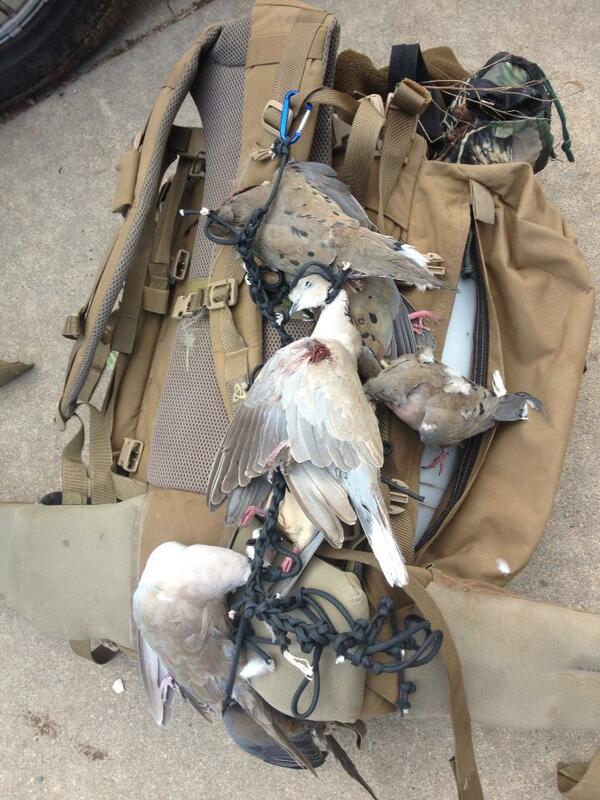 The dove season in question had turned out to be a rather busy time for me. My first position out of residency had turned nightmarish: long hours, multiple overbearing bosses, etc. I’d begun to job search and had an interview lined up in early October at a small town hospital on the coast. We had a three year old and a 6 month old–so sleep wasn’t a guaranteed thing. Meanwhile, my wife’s sister in Hawaii needed her appendix yanked out while her husband was deployed and fighting for us all in Afghanistan. The wife planned on flying out to look after my nieces and nephews till her sister had recovered; and I agreed to drive her to the airport Saturday morning. I’d then take the opportunity to drive into Bay City and have a look at the community where I’d be interviewing. So with all that as a backdrop, I was looking forward to getting in a dove hunt with my friend Patrick the evening before I drove the family into H-town. Most of my dove hunting has occurred in West Texas where I generally sit on a bucket with a spinning top in the shade of a mesquite tree, in a sunflower field, or on the dam of a red clay stock tank. This hunt found me North East of Austin with the buzz of Interstate 35 in the background. This spot Patrick had was a harvested cornfield, but is now sadly the home of a new residential neighborhood in Pflugerville. No more dove hunts there. Around three, we were standing in a corner along with about 20 other guys spread out waiting for the dove to fly. Birds were drifting in pretty steady and in the first hour I was about half way to my limit. Then suddenly the flood gates opened and white-wings were coming by in flocks of 50 to 100. The shooting was so good, I stopped and just watched for a while, then reluctantly killed the rest of my limit in about five minutes. Many of our downed dove fell into some thick weeds that were harboring hidden vines of poison ivy and we’d heard some of the other guys hollering about a mad rattlesnake. Eurasion dove are cool. They are yummy and don’t count against your limit in Texas. Soon Patrick had his limit and we both enjoyed cold Coronas as we watched the other guys fill their limits. After a few beers I found it necessary to use the restroom, we loaded our chairs and coolers and went home. The next morning, we woke up early, drove over to Houston, and Susan and the boys boarded the plane with no issues. I drove south and took a look at my future hometown and started back to Austin. Suddenly, I had to go the bathroom really bad. The Gulf Coast Prairie is not a heavily populated region and I didn’t have a lot of options on places to stop so when at the first place to go, I went. There is a unique chain of gas stations in this region called Buc-ees’s and they pride themselves on really clean bathrooms. There is also a strange cult surrounding the convenience store (http://havingfuninthetexassun.com/2012/11/27/black-friday-at-buc-ees/ I mean who doesn’t think gas station for shopping after thanksgiving? http://www.chron.com/news/houston-texas/houston/article/Woman-jumps-from-roof-of-Bucc-ee-s-rushed-to-4605040.php or even this http://blog.chron.com/cookstour/2009/08/i-was-a-buc-ees-virgin/) I think its because their mascot is a beaver. Nonetheless, this station was not a Buc-ee’s and the bathroom was not clean. It was really bad in fact. I did the best I could in the lone stall, which had a toilet, but no seat. Normally, I’d have just waited for another place to go, but time was not a luxury. I returned home without incident. That night, around 2 am, I awoke with everything from below my belt to my rear end burning with intense itching, swelling and redness. I got in the shower worried I’d caught some rapidly spreading ebola like venereal disease found only in dank Matagorda County bathrooms and I’d have a helluva time explaining to my wife that while she was oceans away I’d picked something up from a public bathroom and not from some floozy. Despite the inherent dangers I am pumped about the upcoming season. Its a chance to pull the trigger, teach my boys those important lessons about hunting and life and I love to cook those birds. Here’s my favorite recipe, bar none the best I’ve tried. 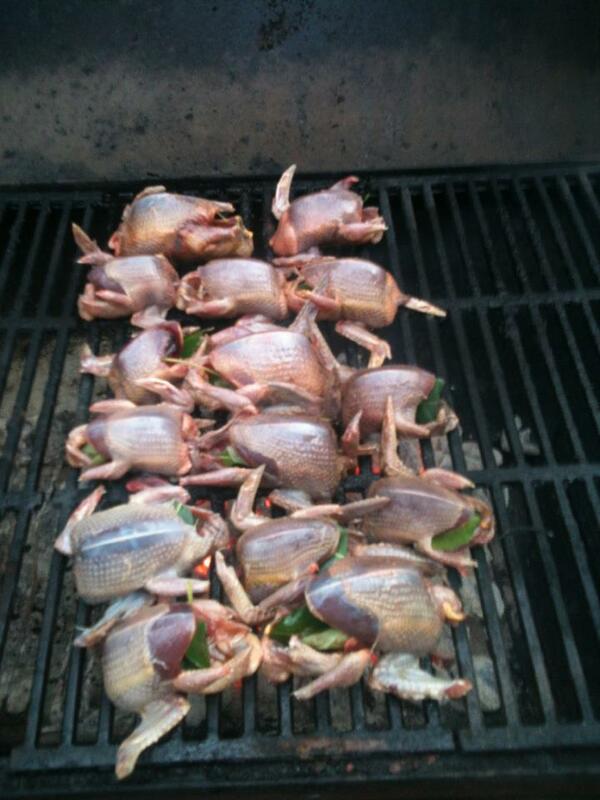 http://honest-food.net/wild-game/dove-pigeon-recipes/grilled-doves-a-la-mancha/. Hank’s Shaw’s fabulous recipe. Bacon fat is one of the ingredients. Need I say more? Do you have any funny dove hunting stories to share? I’d like to hear them. 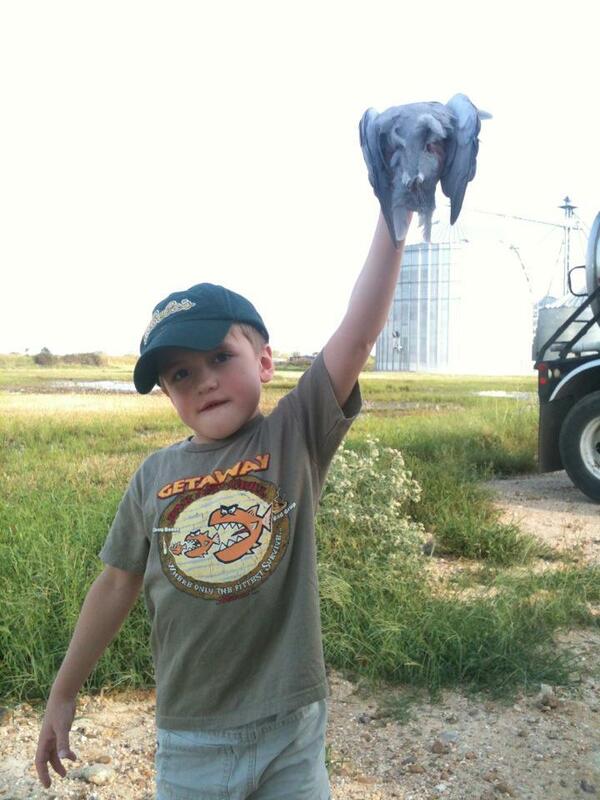 Also, what is the best dove hunt you’ve been on? Good recipes? 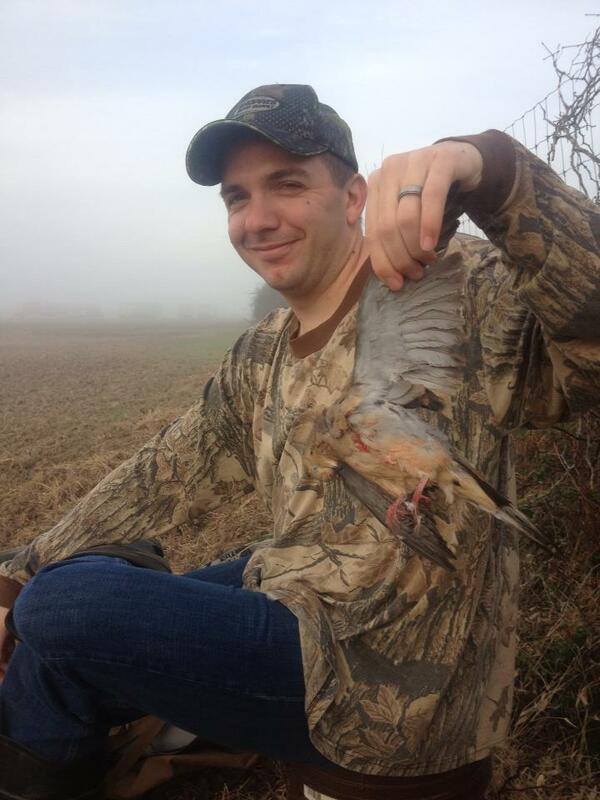 My brother in law’s first dove. Sadly, I’ve never been on a dove hunt. It’s not very popular here and I wouldn’t even know where to begin. I’ve definitely been in some hard-core poison ivy – never where the sun doesn’t shine though. I don’t know how long until the season starts down there but I wish you the best of luck!!! Duncan its like a video game with your shotgun–when there are dove. Imagine sitting on a wooded fence line and fifty grey squirrels are going to sprint through the tree tops and you have three shots to try and get each one. But sometimes, they come by in groups of 5-10. Of course, dove fly a little faster, but aren’t as herky jerky as a squirrel. Its a blast. I, like Duncan, have never been dove hunting. I have been on other bird hunts, but not doves. I thought the video game was called duck hunt. 🙂 It sounds like fun, but I will have to find someone up here that enjoys it to get me started. By the way, what type of medicine are you in? I’m a professional gas passer. Anesthesia. Nice, you don’t mess around. We have a very good friend who owns an anesthesiology practice. My wife is in family practice. 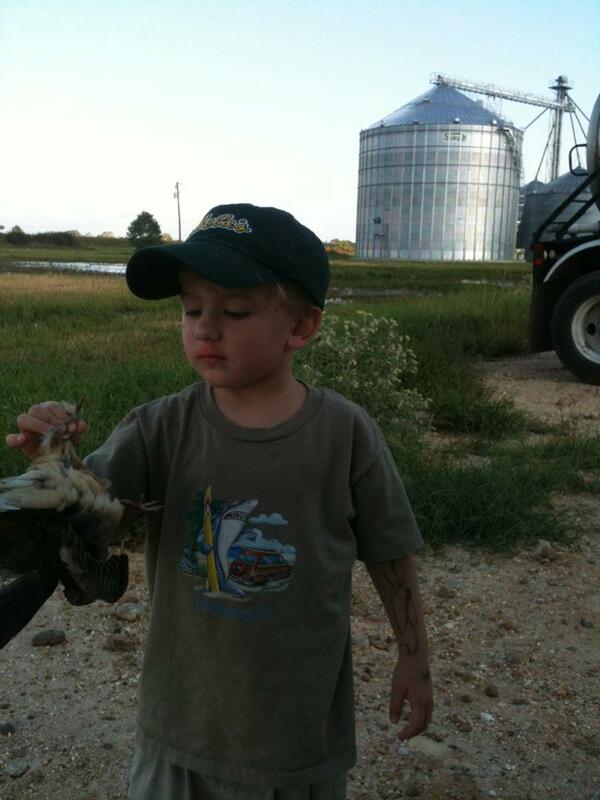 I’ve never dove hunted, but I have a couple cousins down in southern Illinois who do. I don’t believe we get whitewing dove this far north, but I’m not sure. Sunday is our early goose opener though. Honkers are bigger, easier targets than dove. A different cousin of mine once sat in a tall poison ivy patch in the dark. The ivy on my folks old land would get 2 1/2 feet tall, and she had it from her ears to her ankles. She missed the first three weeks of school that year, and bathed in calamine. I think I was lucky enough to inherit my dad’s non-allergy to it, but I won’t be testing that out any time soon. 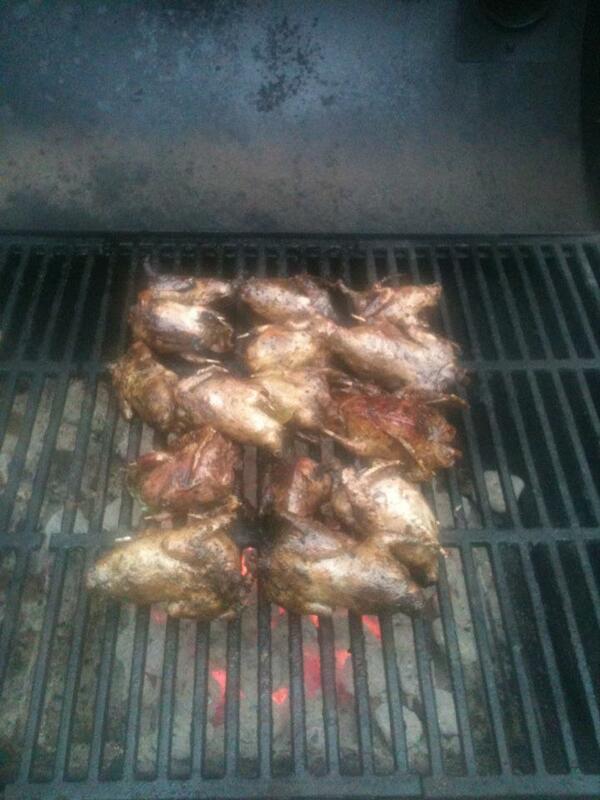 Can’t say we’ve ever had dove – my husband hunts alot of pheasant, chukar, and quail. Sounds like a good time and some good eatin! 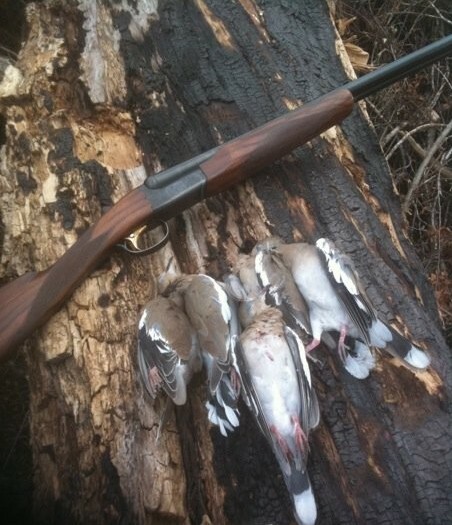 I miss our dove season in Michigan. Unfortunately the HSUS and their lies were able to convince the voting public the the Mourning Dove is and endangered species.